CLOSING TODAY @ 2:00 PM. Prime 3 acre parcel of vacant land zoned commercial/industrial/mixed use w/ all utilities. Located on the NW corner of Southern Blvd & McClurg Rd, just E of Mercy Hospital. LOW OPENING BID OF ONLY $100,000! The sellers are offering, at public auction, this prime 3 acre parcel of vacant land zoned commercial, industrial, & mixed use, with all utilities, with frontage on 2 roads, located on the northwest corner of Southern Blvd and McClurg Rd. This is just east of the Market Street (Rt. 7), Mercy Health St. Elizabeth Hospital, and directly north of the Operating Engineers Hall on McClurg Road. The property is being sold with timed, internet only bidding on the listing brokers website. There is a minimum opening bid of $100,000.00, and bidding will close on Tuesday, September 18 at 2pm. From Market Street ( St. Rt.7) go east on McClurg Road 1/2 mile to the intersection of Southern Blvd. 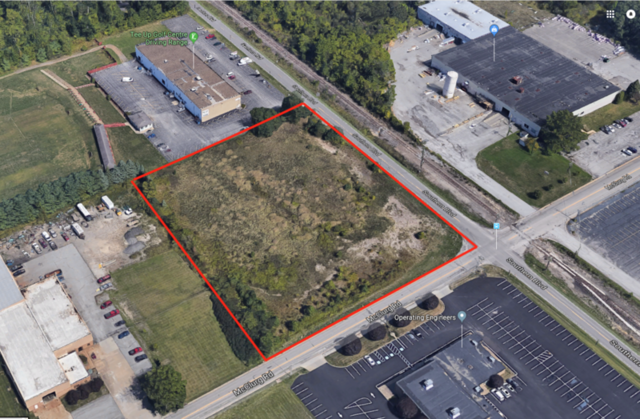 The vacant 3 acre parcel is on the northwest corner of McClurg and Southern Blvd, or from South Avenue take McClurg Road West to the intersection.